Peer-to-peer engagement is a powerful one, and it’s demanding that many traditional companies take note. Take Airbnb for example. This past summer, 17 million people stayed with an Airbnb host, compared to 47,000 people five years earlier in the summer of 2010. The company has revolutionized travel for millions of people, and it has shaken up the hotel industry. Another game-changer is Uber. The ridesharing service was reported to hold 46% of total paid car rides in the first quarter of 2015, with taxis, limos, and shuttle services falling from 85% in the first quarter of 2014 down to 53% in 2015. There is no doubt that the car service industry is forever altered. 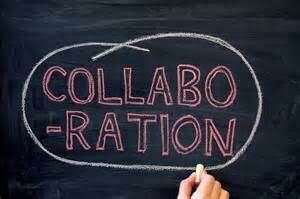 Samuel and Owyang report several interesting findings regarding the collaborative economy. For one, they found that 51% of Americans engaged in a sharing service via mobile apps or websites in 2015. And secondly, each of the defined categories — e.g., goods, services, money, transportation, and space — saw increases in consumer usage from 2014 to 2015, including crowd-funding (from 6% to 14%), spaces to stay (from 7% to 17%), and pre-owned goods (from 34% to 44%). What does peer-to-peer offer that traditional companies can’t? Some people find these services helpful when they are engaged in a “spending fast,” or when they challenge themselves not to buy anything new for a year. At this point, however, most consumers say they’ll go with whichever route offers convenience, brand names and services, and a savings of 25%. So, the trend toward a collaborative economy could reverse if the conditions were right. Some companies are adjusting quickly, realizing that the traditional equation of business to consumer (B2C) operations is shifting. For example: West Elm is curating and selling items from Etsy; BMW started Drive Now, an on-demand car-sharing service; and Home Depot rents tools and construction vehicles. Companies may only need to be aware, adjust, and enhance rather than start their own, new collaborative business. It’s no surprise that consumers are driven by price. Keeping an eye on the price points of items and the charge for services offered is critical for all businesses, whether sharing or traditional. After all, half of Americans are swayed by items that are 25% cheaper than competitors’ prices. People want things to be easier, clearer, simpler. One-third of conventional consumers will consider switching to sharing services if convenience is offered. Subscription offers that deliver on a regular basis and renting options are top on the wish list for convenience-seekers. Like a lot of consumers, sharers like well-known names, and this gives traditional companies an advantage if they can add a sharing option to their current offerings. Crowd-funding and collaboration during early start-up phases, however, can help new sharing companies to build their brand and gain a loyal following. Though not entirely revolutionary, a collaborative economy might mean better prices, convenience, and perhaps the added bonus of peer-to-peer engagement (e.g., recycling, helping, doing good). Traditional companies, be ready — a change is rolling in.